ARE YOU RELOCATING TO SOUTH AFRICA? WE CAN HELP! Relocating overseas can be a stressful time, especially if you’re moving as far away as South Africa. At Schepens, we aim to help make every move as simple and stress-free as possible by helping with every step of your move – from planning and packing to shipping, delivery and storage on arrival. We have a great deal of experience and knowledge in removals to Australia, ensuring that your shipping will arrive on time and securely at your destination. It is not a complicated procedure to move to South Africa. Listed below is the primary documentation required for an overseas move. How long does shipping to South Africa take? 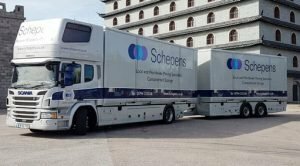 Why use Schepens for removals to South Africa? Our removers are friendly, professional and trained to BAR standards. They work efficiently and will ensure your cargo safely makes it to South Africa. Our family owned company was established over 100 years ago. Since then, we have performed thousands of removals, including many to South Africa. We have established a reputation for trustworthiness, reliability, and professionalism. All clients relocating to South Africa will receive an obligation-free quote. This quote will clearly detail the items being moved, the total cost, the delivery window, and the pickup date. Our total price is the final cost and all you will ever pay. There are no unexpected charges when you choose Schepens. You can make your move to South Africa even easier by taking advantage of our optional packing service. When you choose this option, our professional removers will pack your items for you — ensuring they are adequately protected for the journey to South Africa. All South Africa removals are managed by one of our move coordinators. They are extremely experience removers who have coordinated countless international removals. They will ensure your move to South Africa goes off without a hitch. We use very strict security protocols to ensure that your cargo remains safe during its journey to South Africa. This includes GPS tracking, security alarms on all vehicles, and security-trained removers. Alberton, Benoni, Cape Town, Carltonville, Durban, East London, Johannesburg, Kimberly, Kierksdorp, Krugersdorp, Mhuluzi, Port Elizabeth, Soweto and Pretoria. South Africa remains a popular destination for expats from the UK. Its vibrant culture, successful economy, beautiful weather and stunning landscape are a very attractive option for many UK citizens. It is the perfect place to launch a new business, go to university or spend your retirement years. The most difficult part of moving to South Africa is dealing with the furniture removals process! Fortunately, you can rely on Schepens to give you a hand. We are a professional international removals company that has performed countless furniture removals to South Africa over the years. Our company is family-owned and was established more than 100-years ago, making us one of the most experienced international movers to South Africa. We are committed to providing the best customer support in the world and making South African removals simple for our clients! This article will take a closer look at how we handle furniture removals to South Africa. Afterwards, we will share some reasons why Schepens is the best choice when shipping from the UK to South Africa. Our company has performed countless international removals over the years and are familiar with the complex logistics involved. We have developed strict procedures to ensure our international removals are reliable, safe, and efficient. It all starts with our training procedures for our removers. All Schepens removers are trained to the standards established by the British Association of Removers. These standards cover all aspects of the move including the quality of packing materials, how many contingency plans should be in place and much more. You can rest assured, knowing that well-trained professionals are handling your valuable possessions. When you first approach Schepens for a removals quote, we will schedule a meeting to gather some details from you. If your removal only involves a few items, this meeting can be performed over the phone or via email. If you have a household full of furniture, we may require an in-person meeting. An in-person meeting will help us evaluate the removal requirements of any bulky, heavy, or particularly fragile items. What is the pickup address and where will the cargo be going? What is your desired delivery schedule and pickup date? Are there any access issues the departure or destination locations? Do you have any items that are particularly heavy, unwieldy, fragile or valuable? Would you like to utilise the Schepens packing service where we box up your possessions for you? Would you like to temporarily store your cargo at one of our secure storage facilities? Would you like a dedicated container or a shared container? Shared containers are useful for smaller moves and can save you money. Your move coordinator may ask to see some items if you have identified them as heavy, very large, or fragile. Cargo insurance options will also be discussed during the meeting. Schepens offers a range of insurance policies from reputable providers. After the initial meeting, your move coordinator will compile a detailed quote. Although our quotes contain a lot of information, they are easy to understand. The quote will clearly outline the items being moved to South Africa, the pickup date, the delivery window, the insurance plan being used, additional services being purchased and the total cost. Our total cost is a door-to-door price — there are no hidden extras or unexpected service fees. All quotes prepared by Schepens are 100% free and completely obligation-free! We offer a professional packing service, where our experienced removers box up your cargo for you. This service not only saves you time, it ensures your cargo is adequately protected for the journey to South Africa. If you decide to use our packing service, we will provide all of the packing materials including thick cardboard boxes, bubble wrap, packing paper, and packing tape. Check out some videos showing how efficiently and safely our removers can pack items your items! All delicate timber surfaces are protected with multiple layers of packing paper and plastic wrap to protect them from scratches. “We wanted to say that it has been a pleasure dealing with Schepens from start to finish! Everyone has been so helpful, and certainly made the move less stressful, the men arrived on time, packed up with no problem, they were so quick, but careful and thoughtful too. Nothing was too much trouble for them, even though I must have seemed like a crazy lady at times!! Dan and Chris, our removal men of the day, you are stars in our eyes, you are absolutely brilliant. Well done Schepens, we wouldn’t hesitate to recommend you”. WHY USE SCHEPENS FOR FURNITURE REMOVALS TO SOUTH AFRICA? Schepens performs many South African removals each year and we are very familiar with the logistics involved when shipping from UK to South Africa. This helps us provide clients with a very reliable and safe removals service. Schepens move thousands of tons of cargo internationally each year. The huge scale of our operation means we can negotiate excellent rates with our suppliers and bulk discounts. Those discounts are passed onto our clients, making us a very affordable option for removals for South African removals. Our company has a strong focus on cargo security. We use electronic tracking and photographic inventories to ensure your cargo arrives safely in South Africa. All vehicles use security alarms and our removers are security-checked. All removers are trained to British Association of Removers standards, the benchmark standard for professional removals companies. We also provide regular in-house training sessions and mentorship to help the younger removers gain knowledge from the many experienced guys on our team. 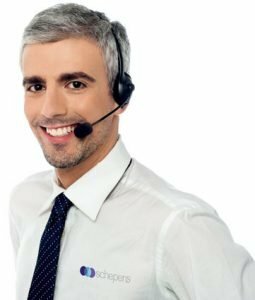 Schepens currently move to all major towns and cities in South Africa, including: Alberton, Benoni, Cape Town, Carltonville, Durban, East London, Johannesburg, Kimberly, Kierksdorp, Krugersdorp, Mhuluzi, Port Elizabeth, Sowetoand Pretoria. IF YOU REQUIRE FURNITURE REMOVALS TO SOUTH AFRICA FROM THE UK IN THE NEAR FUTURE, CHOOSE AN EXPERIENCED INTERNATIONAL REMOVALS COMPANY LIKE SCHEPENS! CONTACT SCHEPENS TODAY ON 01794 323558 TO DISCUSS YOUR REQUIREMENTS WITH OUR FRIENDLY STAFF. If you’re moving to South Africa, then Schepens has the experience, expertise & local knowledge to offer you a smooth, trouble-free move.